My first engagement session of the year is here and I am so excited! Maggi and Jason were the sweetest couple to spend a Saturday morning with! They met at Longwood University during Maggi’s first semester and they’ve been inseparable ever since! I loved hearing about their wedding plans and especially loved how much joy they had during the session- Maggi kept everyone laughing the whole time! Jason and Maggi wanted to incorporate the outdoors and wanted especially to make sure it was dog friendly so they could bring their two fur babies, Jasmine and Gunner! Literally, I am living my best photographer life when I get to have dogs at engagement sessions. So a Midlothian Mines engagement session was the perfect spot for them and although the day was slightly cooler and windier than we anticipated (thanks, Virginia!) the weather got warmer and it was beautiful throughout the time we had together. 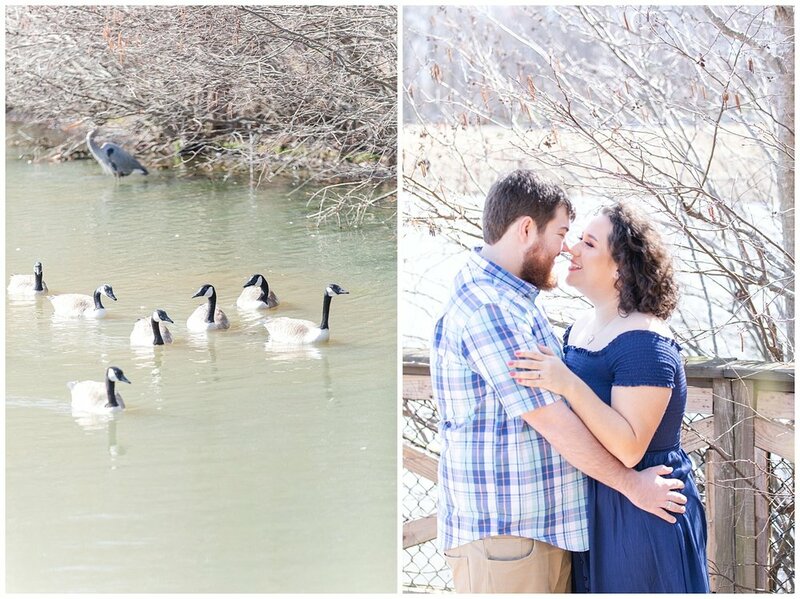 Here are some of my favorites from their engagement session!